WWE wrestler Jimmy Uso was arrested an issued a ticket in Detroit after police say he became irate when an officer pulled him over during a traffic stop on Wednesday. 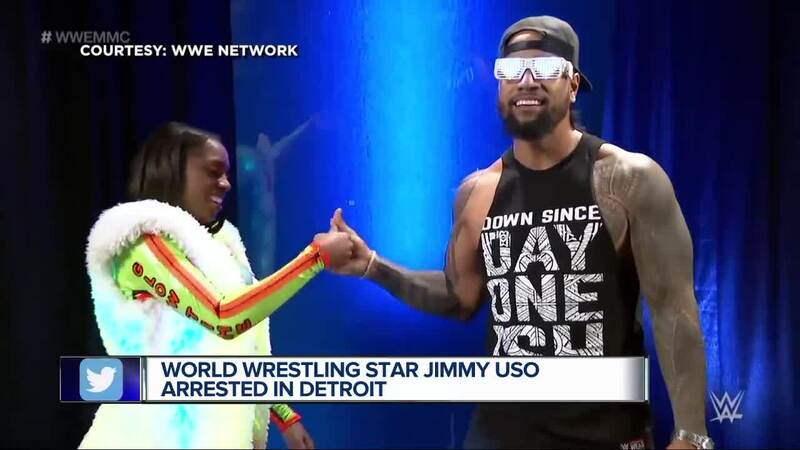 WWE star Jimmy Uso was arrested and issued a ticket in Detroit Wednesday after police say he became irate when an officer pulled him over during a traffic stop. The incident happened at 10:15 p.m. local time. A Detroit officer noticed a Dodge Journey traveling in the wrong direction on a one-way street in Detroit's Greektown area. When the officer stopped Uso, he became irate and exited the vehicle. Authorities say he also took off his jacket and shirt, then assumed a "fighting stance." The officer responded by producing his "conducted energy weapon" and giving Uso verbal commands. Uso then complied and was arrested for interfering with a city official. He was also issued a ticket and taken to the Detroit Detention Center for processing. Uso later posted bond. Jonathan Fatu is responsible for his own personal actions.